SAN FRANCISCO (September 4, 2018) — A new study demonstrates that the recent mass coral bleaching on the Great Barrier Reef was not restricted to shallow depths, but also affected deep reefs. Although deep reefs are often considered a refuge from thermal anomalies, the new research highlights limitations to this role and argues that both shallow and deep reefs are under threat of mass bleaching events. 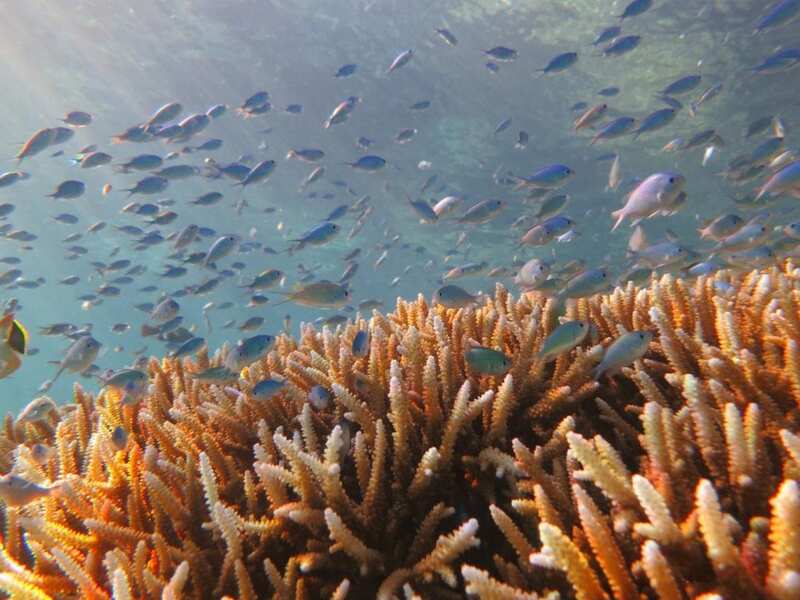 Published today in the journal Nature Communications, the study focuses on the mass bleaching event in 2016 that caused the death of 30% of shallow-water corals on the Great Barrier Reef. It details how the impacts of this bleaching lessened over depth, but were still substantial on deep reefs. "During the bleaching event, cold-water upwelling initially provided cooler conditions on the deep reef," says study co-author Dr. Pim Bongaerts, curator of invertebrate zoology and Hope for Reefs co-leader at the California Academy of Sciences. "However, when this upwelling stopped towards the end of summer, temperatures rose to record-high levels even at depth." Lead author Dr. Pedro Frade from the Center of Marine Sciences (CCMAR) says the research team was astounded to find bleached coral colonies down to depths of 131 feet beneath the ocean's surface. "It was a shock to see that the impacts extended to these dimly lit reefs, as we were hoping their depth may have provided protection from this devastating event." The Great Barrier Reef is known to harbor extensive areas of deep coral reefs that are notoriously difficult to study. Using remotely operated vehicles (ROVs), the team deployed sensors to 328 feet beneath the ocean's surface to characterize how temperature conditions at depth differ from those in shallow habitats. A team of divers then conducted surveys during the height of bleaching across a number of sites on the northern Great Barrier Reef. They noted that overall, major bleaching and mortality affected almost a quarter of corals at the deep sampling points, while confirming previous reports of impacts on close to half the shallower corals. "Unfortunately, this research further stresses the vulnerability of the Great Barrier Reef," says Dr. Ove Hoegh-Guldberg from The University of Queensland, where the study was conducted. "We already established that the refuge role of deep reefs is generally restricted by the limited overlap in species with the shallow reef. However, this adds an extra limitation by demonstrating that the deep reefs themselves are also impacted by higher water temperatures." The researchers will continue to study how the process of recovery varies between shallow and deep reefs.